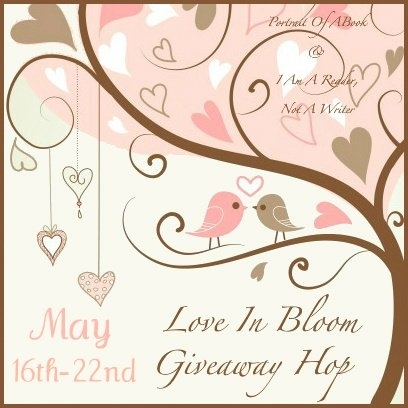 I’m so excited to be participating in the Love in Bloom blog hop again this year. 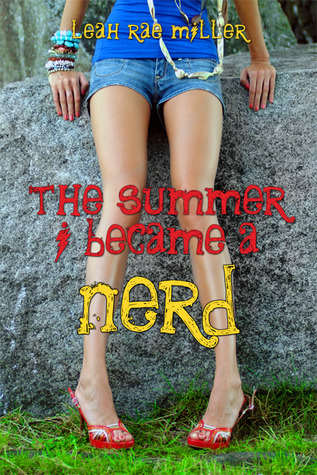 This time, I’m giving away a signed copy of the fabulous Leah Rae Miller’s The Summer I Became a Nerd. Isn’t the cover enough to make you want to reach into your screen and grab it? To enter, just leave me a comment, telling us the nerdiest thing you’ve ever done. I’ll go first. I saw Star Wars the Phantom Menace 16 times in the theater. That’s right. I’m a loud and proud fan of the franchise. Now it’s your turn. If you feel like tweeting about my giveaway, just tag me (@ophelia_london) and that’ll score you extra points. Please leave me your email addy so I can find you later. After you enter to win here, don’t forget to hop on over to the other participants. Many writerly treasures are to be had. Good luck! I got a BS in Computer Science. Does that count? I would show up to class an hour early,just to get the best seat in class,middle front row seat. I want to live in your room. That sounds heavenly. Mine are mostly organized by author and color. Weird, I know. That's too cool. I'm giving you an A on your comment post just for admitting that! I color code and alphabetize everything in my house… I am OCD about everything… I honestly freak out when my husband moves things on my coffee table by an inch lol it is quite sad…. Whenever I see a person put a book in the wrong place whether in a library, book store, or my own book shelves I freak out and make them put it back where it belongs because it bugs me to death. 😛 Weird, I know. I waited in line for over six hours to see one of the Harry Potter movies at midnight. And have seen the last five or so at midnight. Love HP! I have boxes and boxes of X Men comics. Also, I have seen every movie and cartoon that is X Men related and own them all. I don't know if that's nerdy or obsessed lol. I was the 13th best word processor in the nation when I was in high school. Good ole FBLA days. I was such a trusted student when I was in high school that they let me grade other student's papers and type up their report cards. One day I arranged all my books on my bookshelf according to author and series. Took a while but, worth it! I spent my spring break being totally crazy, staying up til 4 am… reading. I know what “42” means!! The nerdiest thing I've ever done? Probably went in cosplay attire with my girlfriend (as the Doctor and a companion) to a museum. We proceeded to act like nerds and get into shenanigans in different exhibits haha. Thanks for the giveaway. Taught math for years:) It is all I can really think of right now but I'm sure there are a lot more! Thanks! The summer before senior year I challenged myself to read a book a day. I became a teacher because I never want to stop learning. This summer I am challenging myself to start reading every Newberry winner and runner up since the award started in 1922. I used to always read a book a day. I have a AA in Computer programing and worked 12 years doing programing at a College. I think my entire life has settled at the same level of nerdiness. ^_^ I did buy a book on Quenyan grammar once. I dressed up in a full Hogwarts student uniform for the midnight showing of Harry Potter and the Order of the Phoenix, I was 20, so I'm very much a nerd, lol. Not nerdy but when the first Star Wars movie came out I stood in line in the rain for two hours to be able to see it on the first day. I joined the Math Club and got a Bachelors of Mathematics. First off, thanks for the giveaway opportunity and for participating in the hop! I watch My Little Pony… a lot. I get teased all the time haha. I would have to say that the nerdiest thing I do is doing math for the fun of it. I get my college math book and I'll sit down and just do a few pages of math. I LOVE math!! Math has always been my favorite subject. I can do it all day long!! Well in-between reading :))) Thank you so much for a chance to win and for being a part of this fun and awesome blog hop!! What nerdy thing have I *not* done? I found my soulmate (by accident) on the Internet. I've read 143 of the 183 “Sweet Valley High” books. I collect Barbie dolls, even though everyone tells me I am too old for it. I have seen “Field of Dreams” 50+ times, and can quote alot of it from memory. I waited in line at Walmart for 7 hours because I heard they had 3 collector's editions of World of Warcraft: Wrath of the Lich King. Mind you, I had pre-ordered a copy already, but I wanted a CE! I went to New York for two week and I spent the entire two weeks in the hotel reading all Nicholas Sparks' books. It was epic my mom got so mad at me that when we got to Miami she hid all my books for like a week. I like to collect things like books or movies. I also collect Wheat Pennies for my father. I love to read old textbooks that my bookstore sells for clearance! I absolutely dressed up like a Spice Girl for Halloween two years in a row…I still listen to all their music and I'm not afraid to admit it! I read all of Harry Potter in two weeks, I've begged teachers for snail extra credit opportunities so I can get over 100% in their classes, I've waited in line for half a day to meet my favorite author, I've skipped school to meet Ally Carter (rebellious, I know!) and I'm currently begging my father to get me another bookshelf because three just isn't enough. I'm just a tad bit nerdy! The nerdiest thing I have ever done was enter a math competition in high school.